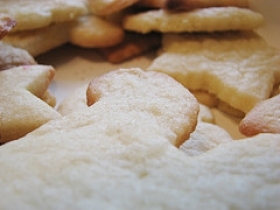 Have you made Basic Sugar Cookies? 1. In a large bowl, beat the shortening and margarine with an electric mixer at medium to high speed for about 30 seconds, or until softened. 2. Add about half of the flour and all of the remaining ingredients and beat until thoroughly combined, scraping the sides of the bowl occasionally. 3. Beat or stir in the remaining flour. Divide the dough in half. 4. Cover and chill for 1 to 2 hours or until easy to handle. 5. Roll each portion of the dough to 1/8 inch thickness on a lightly floured surface. 6. Cut into the desired shapes. Place 1 inch apart on an ungreased cookie sheet. 7. 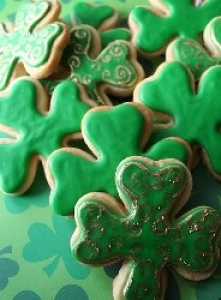 If desired, sprinkle with candies or colored sugar before baking. 8. 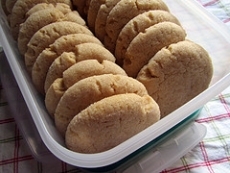 Bake in a 375 F oven for 7 to 9 minutes or until the edges are firm and the bottoms are very lightly browned. 9. 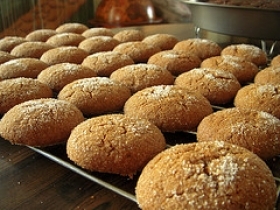 Remove the cookies and cool on a rack. Makes 3 to 4 dozen cookies. 10. 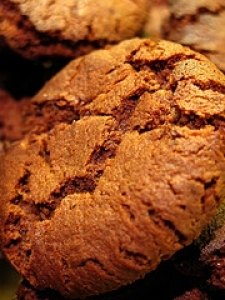 CHOCOLATE SUGAR COOKIES: Stir 1 tablespoon of unsweetened cocoa powder into one half of the recipe. 11. Bake as directed. 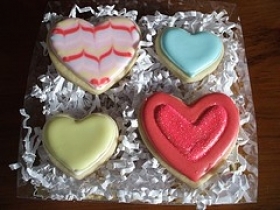 NOTE: Sugar cookies also make attractive and economical ornaments. 12. 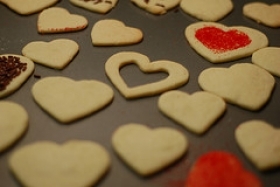 Make the dough according to the recipe then flatten the cut out cookies slightly with the bottom of a small glass dipped in sugar. 13. Use a drinking straw to make a sharp, small hole near the top. 14. 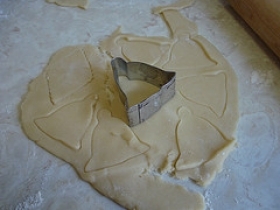 If the hole begins to close during baking, use the straw to re-form the hole.